Located in the heart of the Mississippi Valley Flyway, Winona is a natural destination for birds and bird watchers. Both the city and the region host a great variety of birds who nest here, are year-round residents or pass through the area during migration. Over 280 species of birds have been identified in the bluffs, valleys and backwaters of the Winona area. The annual tundra swan migration draws many visitors to Winona. Briggs Farm offers many birding adventures here in Winona! From “Birding for Beginners” to “Bluffland Birding Hot Spots” and more, you can connect with local wildlife and experience the thrill of the hunt. 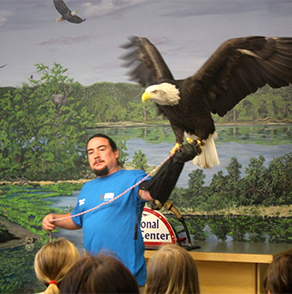 Just up the highway in Wabasha, events at the National Eagle Center are soaring to new heights. The beautifully modern building offers live eagle shows with the center’s five resident eagles. 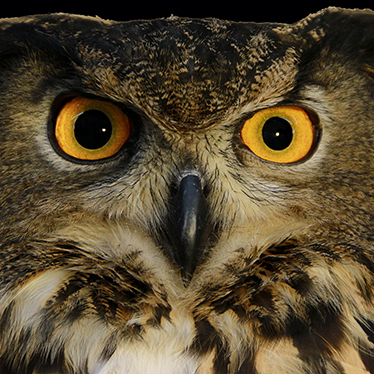 Explore the wonders of wild owls by enjoying interactive displays and live demonstrations that use some of the center’s resident population. Characters like Alice, Ruby, Rupert, and Uhu provide a fascinating glimpse into the secretive world of these wide-eyed creatures.